Kirk Jackson is originally from Lewis Center, Ohio. He discovered clay, as an expressive material, while studying at The Ohio State University. 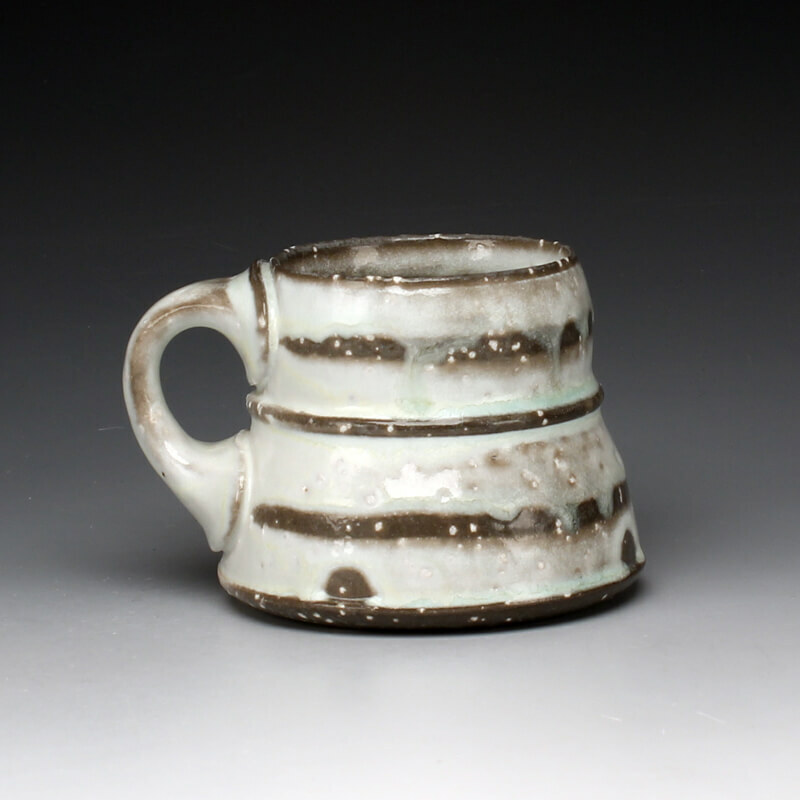 While pursuing a BFA there, Kirk had the opportunity to spend a semester in Jingdezhen, China and also did a summer residency at Watershed Center for Ceramic Arts. After completing his BFA, he worked as Studio Manager at Watershed, participated in the Working Artist Program at Longwood University, and was a Resident Artist as well as instructor at Seward Park Clay Studio in Seattle, Washington. Kirk is a former Long-Term Resident at the Red Lodge Clay Center. As a maker, I revel in the collections of objects and possessions people choose to surround themselves with and the rituals and intimate experiences that are generated by those articles. Objects used for the daily cup of coffee or the annual social gathering with family and friends can express much about the individual. For me, I have an internal need to control and organize the things around me. This desire navigates my aspiration to master the ceramic process. The repetition and rhythm of throwing on the potter’s wheel establishes the structure to define the nature of this desire. The many crucial steps and the time it takes to work with clay, enables me to impose absolute control over the objects I create. Nothing can be rushed and the attention to detail required reinforces my need to precisely manage the entire process. Within these multiple steps I find the inspiration for most of my ideas.